A collection on things about HDR (High dynamic range) and the different emerging standards. The SMPTE link is probably the most up to date and complete all you would want to know about HDR doc. That's still a great listen. This is a useful 12minute crash course, recorded in 2015, from the same team (some will know Stacey from the Spears and Munsil calibration disc). I'm still very much interested in possibly acquiring an OLED TV, but the realities about the technology's limitations for HDR are always worth bearing in mind. My owning such a large library of SDR content (much of which I don't ever expect to be able to re-buy in 4k/HDR) is actually a big reason OLED is on my radar, as being covered perfectly for SDR whilst also getting good sub-1000nit HDR performance is a compromise I might be willing to make for the next 4-5yrs until I have access to a lot more HDR content. One bit of info relating to HDR mastering for the home that I've mentioned before is that studios are not mastering to the same values for their UHD output. Warner, Sony and Lionsgate are currently all mastering HDR for 4000nits. Universal, Fox and Paramount meanwhile are mastering to 1000 (some Fox titles are 1100). The two most popular monitors used for HDR mastering are Dolby's own pulsar monitor, a full array local dimming LED display of around 42", with about 1400 dimming zones that can accurately hit 4000nits peak, and Sony's BVM-X300 30" OLED which hits a 1000nit peak. Both monitors are north of $25,000. Also, there is a variant of a consumer Samsung LED TV (different only in firmware and I think the top end full array local dimming model) which I believe is what Fox tend to work with. I would imagine when Universal begin mastering for Dolby Vision discs (as they have said they will do) they will master for 4000. Where I'm still getting myself confused, no matter how many white papers and reports I read, is the never ending list of various forms of HDR content delivery, and how things all relate to DCI P3 and rec.2020. The more I read, and in many cases go back and re-read, about Dolby Vision the more it strikes me as a safe space for HDR for want of a better description. With studios mastering to different values, and TV manufacturers free to then dictate how they think the source material should be display, it kind of makes me angry that Dolby Vision was not made the defacto standard because it would have saved us all a lot of headaches I think. HDTV Test interview with Dolby at CES 2017:. Dolby now have a software solution for Dolby Vision which could allow DV to be added to many existing devices, including games consoles. I'm sort of half paying attention to HDR. Can someone send me a PM when it is ubiquitous and standardized and cheap and there isn't some sort of confusing format war going on? I think I'll only be excited when I have a projector that can do 4k/hdr for $1000-$1500 and Netflix/Amazon have most of their new material in HDR. Yeah, PM me then. I can ping you when 8k is overpriced and in the middle of a format war, if you like - that's probably around the same time. Damn it. Is there already a successor to 8K? 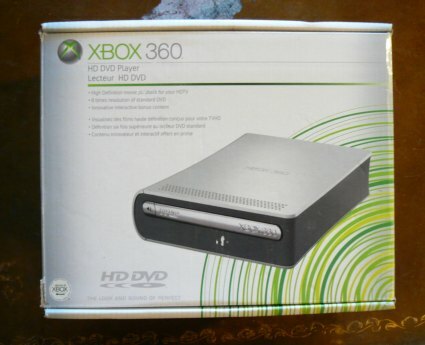 I can't tell whether you actually know or not that I DO INDEED have an HD-DVD drive connected to my Xbox 360 which is still connected to my projector that points at my 88 inch screen. And I still have my free copy of Apollo 13 that came with it. That's like a greasy looking sixteen year old scarfing a meat lovers pizza pausing to ask, "Do you think anyone has actually noticed this bright red two inch tall zit on the center of my nose?" Finally getting our upgrade kit for the living room TV, so we will be running HDR by tomorrow. The upgrade kit well worth the price. Gave a nice bump to regular programming. The HDR clips on YouTube are amazing. Only watched one UHD movie last night, Deepwater Horizon, and didn't even get to the last half when the platform blew up. Meta data is encoded in the least significant bits of the chroma channels. The sink signals the source that it supports Dolby Vision tunneling through it's EDID. The source signals the sink that it's transmitting Dolby Vision through an HDMI AVI InfoFrame. Interesting stuff (pays more to listen to what Vincent is saying rather than looking since its hard for the difference to come across on camera). I'm still waiting for a movie I want to be available on disc with Dolby Vision. To date I have only used it via streaming services. Is that planned? Sadly only the G6 from the 2016 LGs have the ability to do HDR on Youtube. Mmm, the G6 is the only one of last year's sets that can do VP9. All of their 2017 sets support it however. My E6 got HLG recently though (and I was able to stream a BBC demo with HLG and it was the best 4k HDR stream I have ever seen). I'm interested to know if Dolby Vision will ever make it into domestic projectors. Short of a miraculous breakthrough projectors are never going to match flat panels for HDR performance, but I do wonder if projectors could benefit from dynamic metadata which you'd think low nit displays would get added value from. My Vizio can do 4K@30Hz VP9, just not HDR (I guess no 10-bit is possible with VP9 in the SoC used). "With HDR10+ dynamic metadata, WB can continue to more accurately bring the filmmakers’ vision of our 2018 releases and our vast catalog of over seventy-five 4K HDR titles to the home across a broad range of HDR10+ capable TV’s." It's not entirely clear whether they are talking about streaming, disc or both. The "broad range of HDR10+ capable TVs" is also baffling, unless they're aware that a lot of manufacturers are going to be announcing support at CES (Panasonic still make TVs outside of the US, mind you, so between Samsung and Panasonic that still covers a fair amount of ground). HDR10+ is another real pain in the HDR arse (HDArse?). 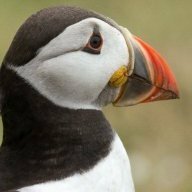 I dislike that it still leaves tone mapping up to the manufacturer, who all have their own methods and approaches to how they think HDR should be handled, and unlike DV it remains 10bit based vs Dolby's 12bit, and even though we have no 12bit displays at the moment that do actually seem to be benefits when downsampling a 12bit signal to 10bit with regards to gradients/banding. It's also dynamic metadata based but apparently not as scene/shot specific as DV's implementation of dynamic metadata. I wonder if Disney will put their name to anything at CES. As per the Forbes article, Dolby seem to be boasting about lots of big news this week so we'll see how that goes. done. It's all yours. Please forward the fees to my office. I meant to share this a good while ago, but Josh's comment in the TV thread reminded me. It's arguably the best paper I have read to date about HDR. written by the boffins at light illusion who are behind the Lightspace CMS popular with a lot of industry and consumer calibrators.